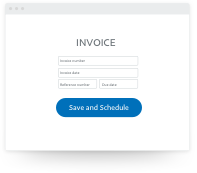 Whether you provide a service, sell goods, have a website or not, it's now a lot easier to send or schedule professional invoices to your customers in India and around the world with PayPal Invoices. Not a business? Go to our Shoppers page. 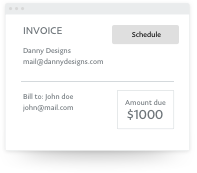 Learn how to send an invoice. Watch our 2-minute video to learn more. Plus, see how customers can send a payment using just your email address. 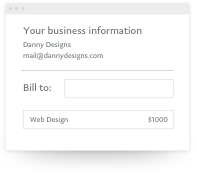 Enter details of your business, your customer’s information and fill in the amount. Simple pricing with no monthly fee. With a PayPal Business account, it's free to send your own personalised invoices. You only pay a small fee when you receive a payment.